Thanks to the popularity of mobile devices, financial services marketers are making greater investments in mobile technology to capitalize on the growing market. And one area of particular focus is on mobile banking. As competition increases, financial institutions need to enhance the overall mobile banking experience to stay relevant and better meet customers' demands and constantly changing needs. While concerns remain over security and privacy issues, organizations must reinforce the value proposition and communicate the effective security measures that mobile banking offers today. 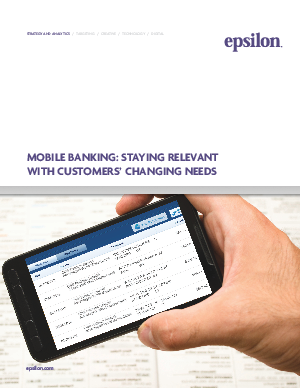 What best practices should companies consider when it comes to implementing mobile banking?